This week's Premier League Rollover produced a £21k Solo winner! Well, well. One solo player took full advantage of our Premier League Rollover this week as they netted themselves over £21,000! Read on to see how they tackled the pool. It was a Swedish customer playing through a partner who shone in the Rollover this week. They were bold enough to choose single selections in legs 1 and 2 which were bang-on-the-money. (Cardiff’s last gasp consolation helped them to progress to the second half of the pool on Wednesday). They were bolder, still, to ignore their Cash Out offer for the next 22 hours until kick off in legs 3 and 4. They played the same combination in those legs with three BTTS selections in each game. A wise choice in Fulham vs Leicster, one would have thought, given the Cottagers’ leaky defence over the course of the season so far. That game finished 1-1 with James Maddison rescuing a point for the Foxes in the 74th minute. Wolves’ impressive home win against Chelsea was a coupon buster for many, but not for this wise owl who had 2-1 covered for either side. The heavy amount of units that were knocked out by the Wolves win helped this player win a greater dividend as the pool was only won by a 4.56 units in total. Their bet cost them the equivalent of £16 and returned a monumental £21,333. How’s that for an early Christmas present? 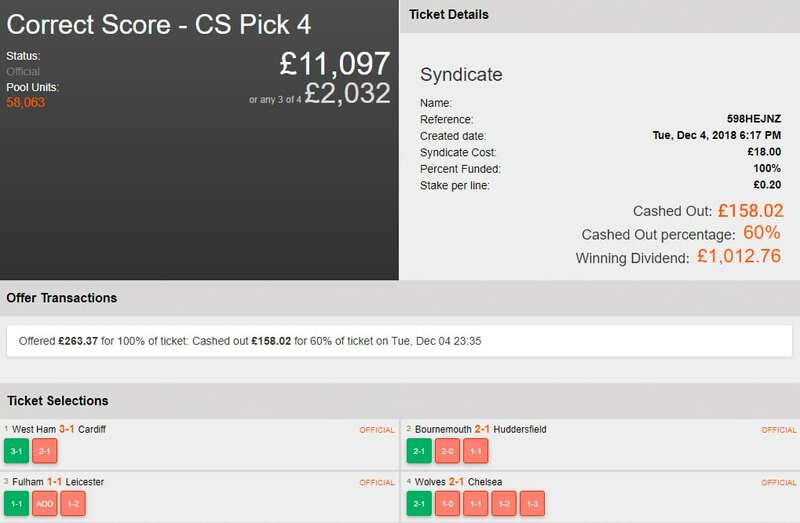 El Capitano created an £18 Syndicate quite close to the start on Tuesday evening and funded 50% of the bet which was joined by three other customers. They had staked with £0.20 per line and were therefore playing for one tenth of the total Rollover prize (£11,097). Similarly to above, they will have been thrilled to see Cardiff’s injury time consolation goal send them through the first 2 legs. The Captain made a 60% Cash Out for £158 late on Tuesday night, securing each contributor over eight times their stake. On to Wednesday where they were looking good at half time and the Captain decided not to take up any more of their Cash Out offer. They will have been delighted with Wolves’ second half turnaround which helped to maximise their final dividend. Their £18 ticket ended up returning £1,170. Buying 10% of this Syndicate would have cost you £1.80 and returned a lovely £117. 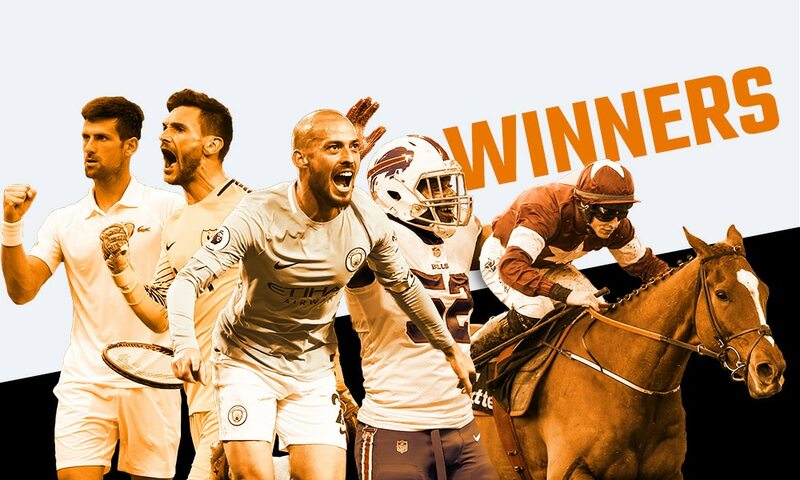 The Captain – having a 50% share in the bet – spent £9 and won a total £585!